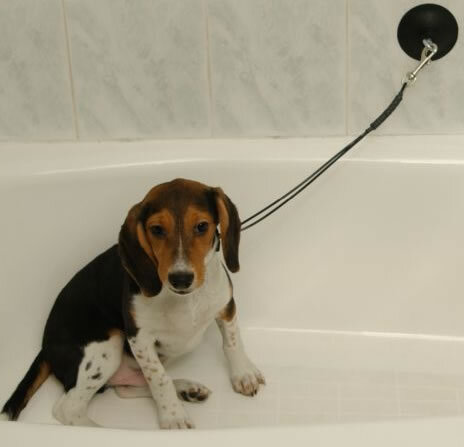 Keeping your pet in the bath tub under control is now finally possible for all pet owners! 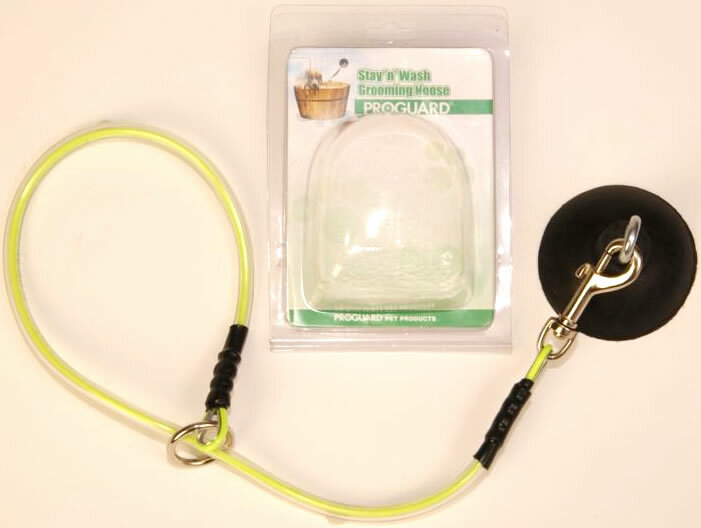 Our Stay N Wash makes bathing more convenient by keeping your pet from jumping out of the bath tub. No tools necessary! Installs easily by pressing the 3 inch industrial rubber suction cup against any bath tub surface. 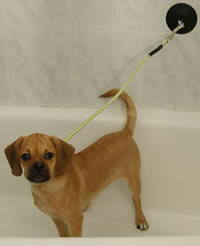 This tub choker cable is perfect for all grooming uses and works great in a bathtub, pet tub or grooming table. Constructed of durable cable, it will not absorb water, dirt or odors. It is made with brass, aluminum, and stainless steel hardware, and carries a lifetime rustproof guarantee. It is also covered completely with a special soft cushion protection and will not rip, pull or rub pet's hair around their neck. Soft cable size 30 inch length.